A Bendy Fold card is something that has been on my crafting bucket list for a while, so it was the perfect opportunity to try one out! 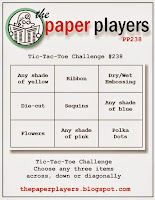 I have used the left column of the tic tac toe grid & used a combination of "any shade of yellow, flowers & die-cuts". The idea for the fence was born as I was taking the Bouquet Bigz die out of the cellophane bag. The first thing I focused on was the row of nice straight, pointy top "pickets" (which you would normally make into a dahlia type flower - like the large pool party ones on the cover of the Occasions catty). 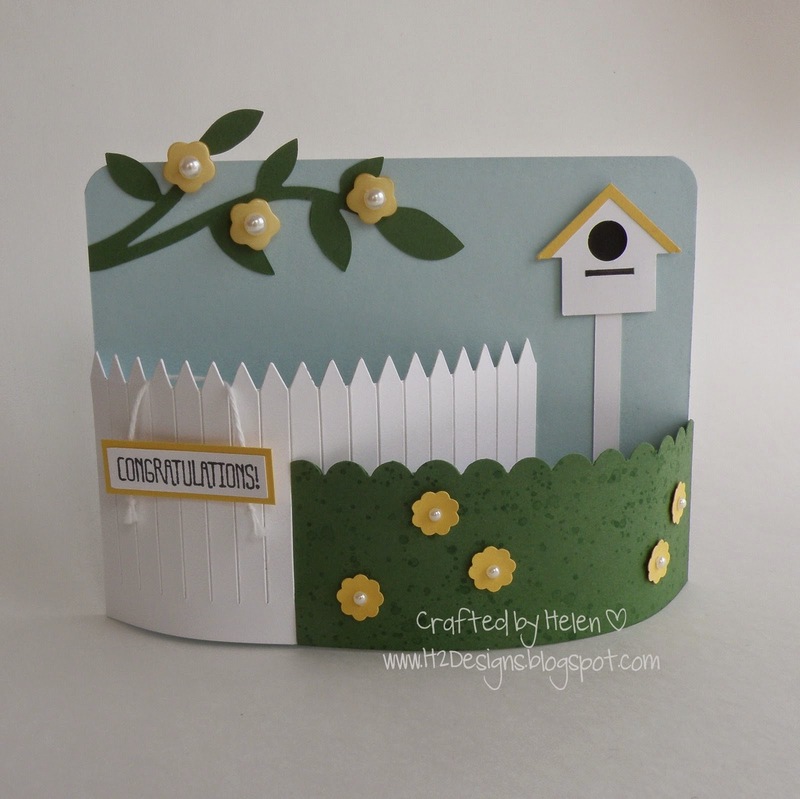 Adding a hedge, letter box & a blossom laden tree bough, with a little hanging sign on the fence makes for a fun card for a new home owner. To construct the card I used this tutorial by Emma Fewkes as my starting point (you need to go to the post, then look at her sidebar), tweaking the measurements a little to suit my concept.